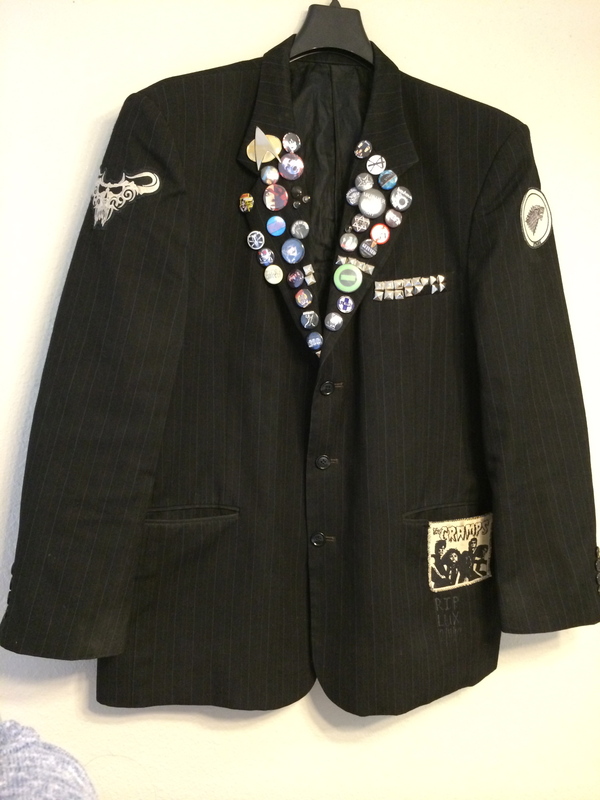 A friend of mine asked if I could make some minor repairs on one of his jackets and add a new patch as well. I’ve never done this sort of repair but I’m always willing to learn something new. I couldn’t say no. 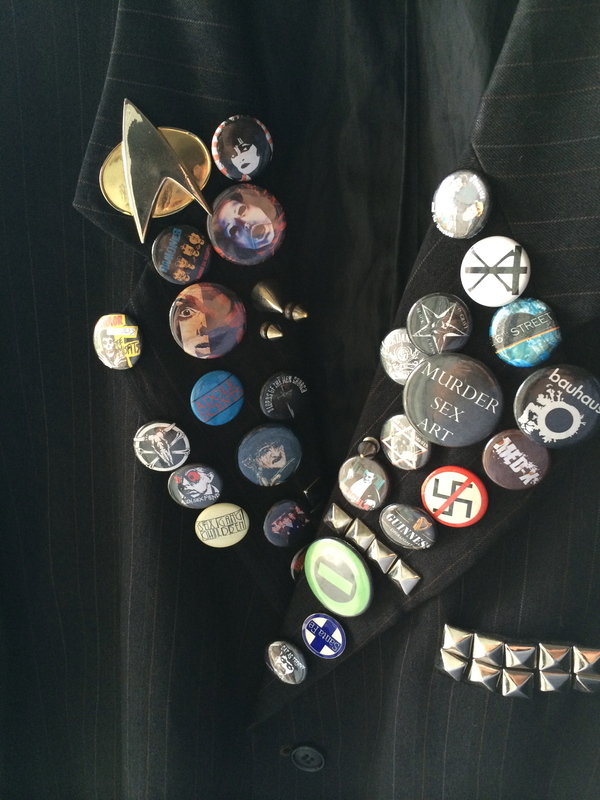 And look at all those pins! So interesting, especially the Star Trek insignia!!! I LOVE Star Trek. 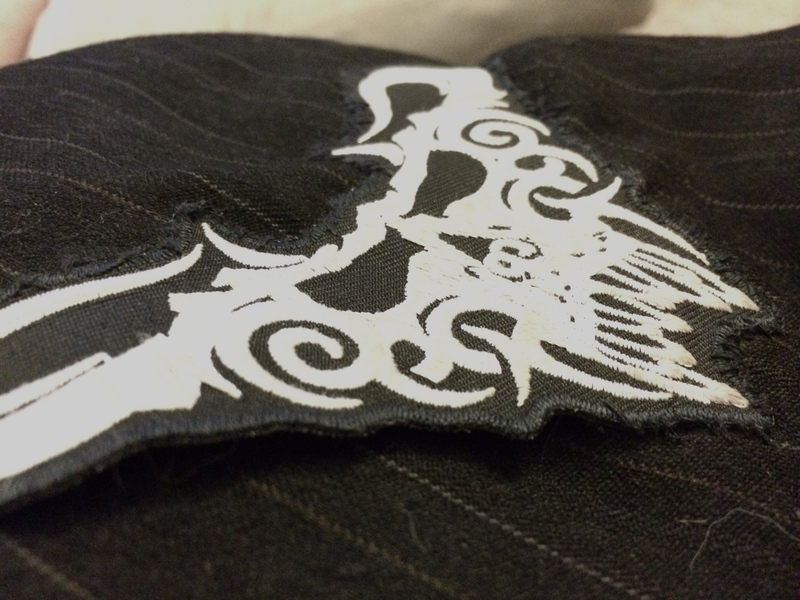 In addition to ripped lining, I took it upon myself to re-stitch the Danzig patch. As you can see, most of it wasn’t sewn down so I used the existing stitches to keep it flat. 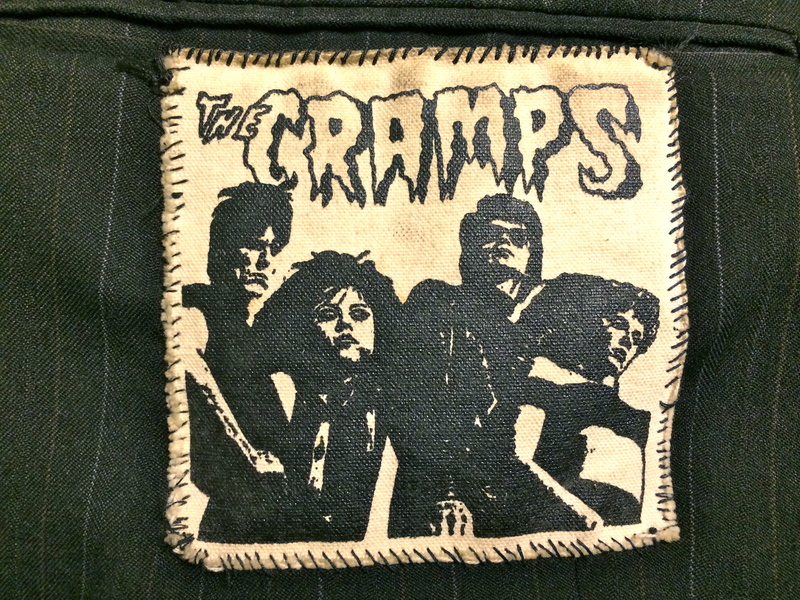 Sewing this patch was hard but would’ve been more difficult had it been ironed on. 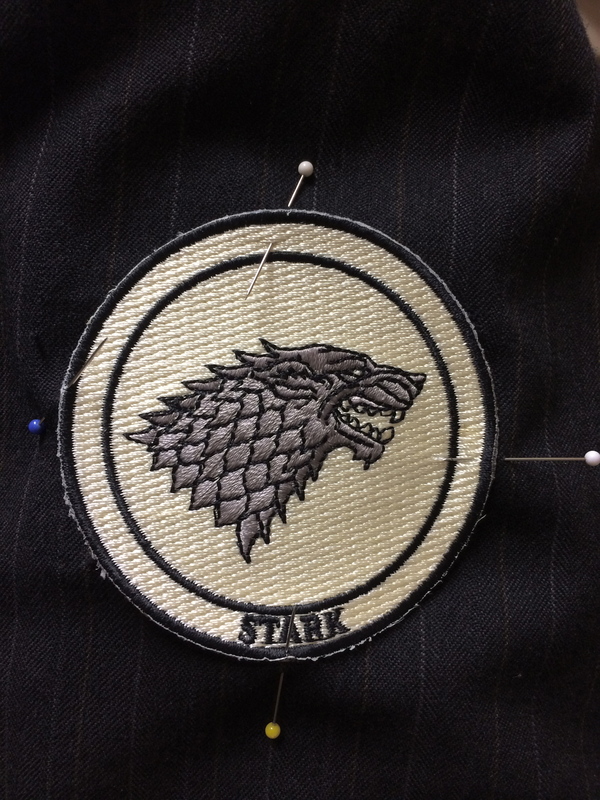 I’m glad the lining was torn because it made it much easier to maneuver the needle around the black edge of the patch. These stitches will have a long life, thanks to 100% cotton thread! Game of Thrones! 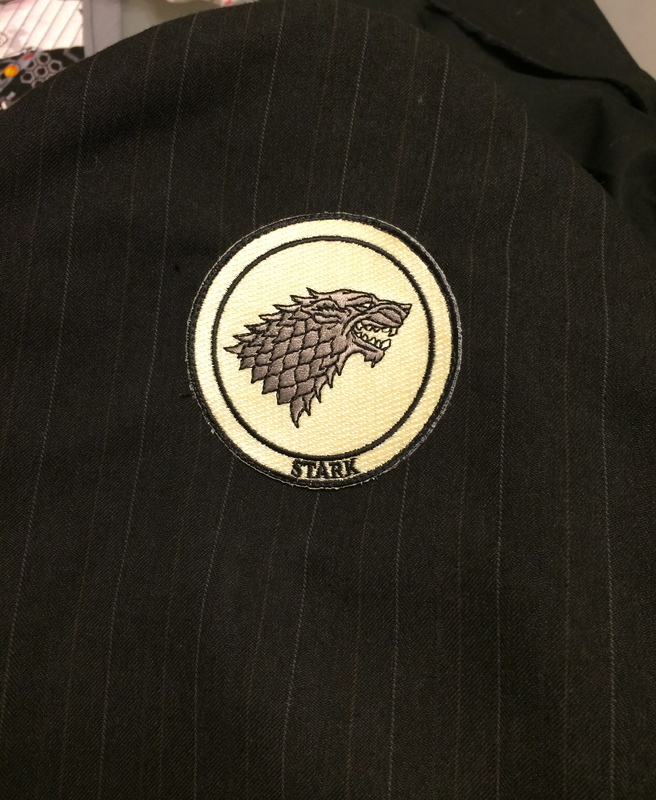 New patch for the jacket and a breeze to apply. I decided to stitch around the perimeter only and not iron it to the jacket. Already sewn. I carefully moved the foot around the black border so the stitches wouldn’t be visible. Onto the lining. 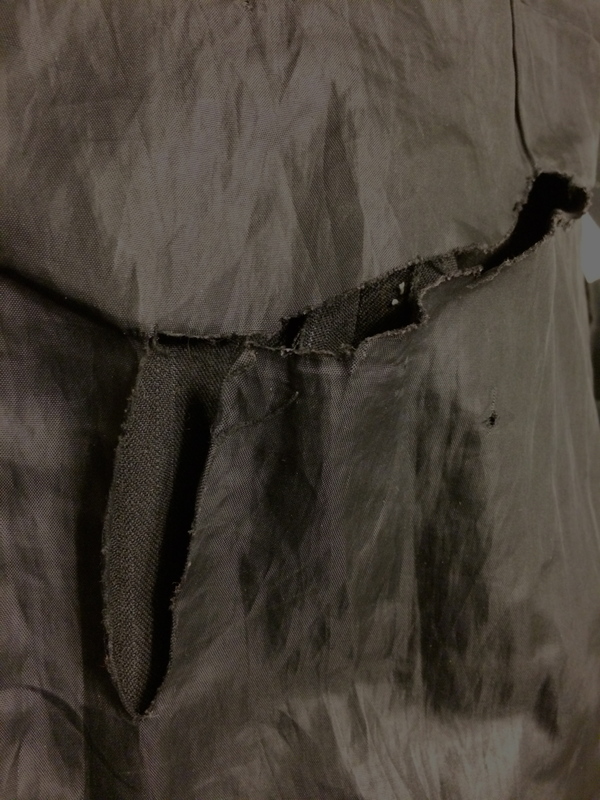 This tear is on the inside of the jacket sleeve. Originally I was going to use a running stitch to mend it but there was lining missing. 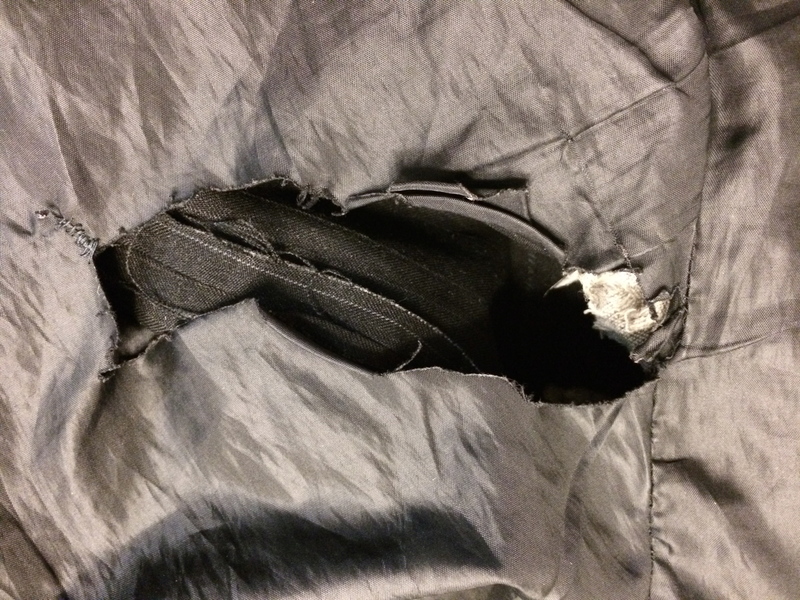 I decided to use a piece of lightweight black fabric to fill the gap and stitched by hand. 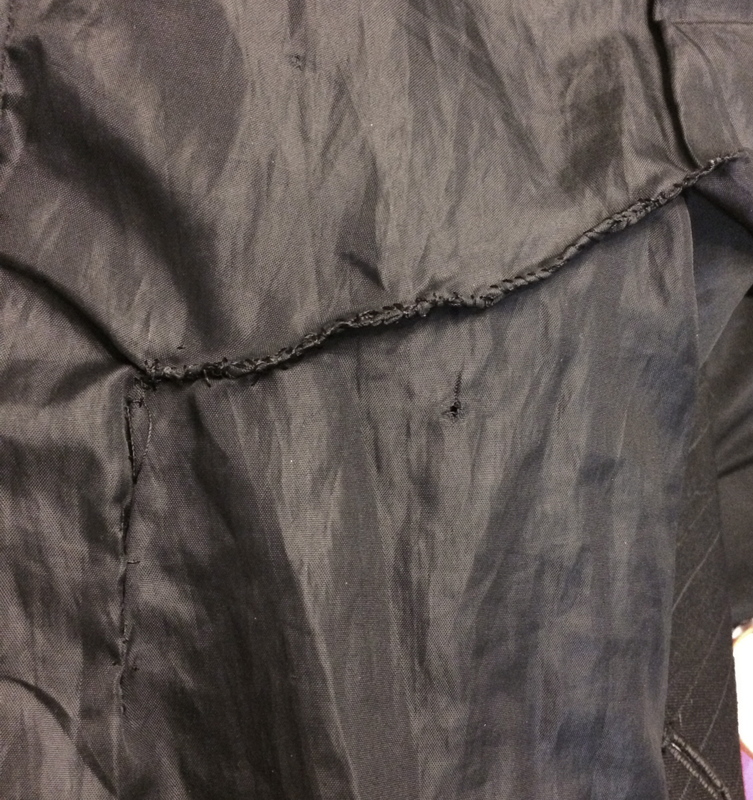 I thoroughly inspected the jacket and found more ripped lining on the other sleeve. 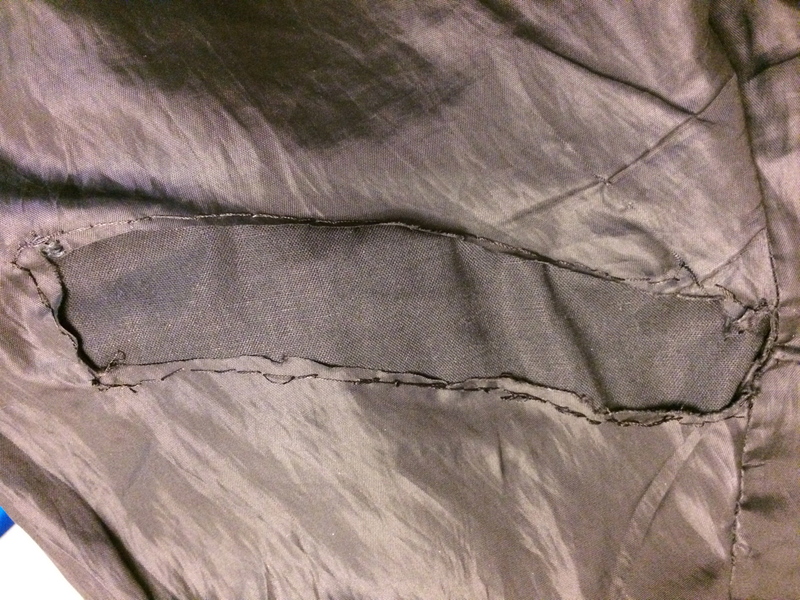 This tear was a breeze to fix and only took ten minutes to stitch. Since the stitching on this patch was really good and durable I left it alone. LOOK AT IT!!! Haha, kidding. Seriously though, he did a great job. Complete! 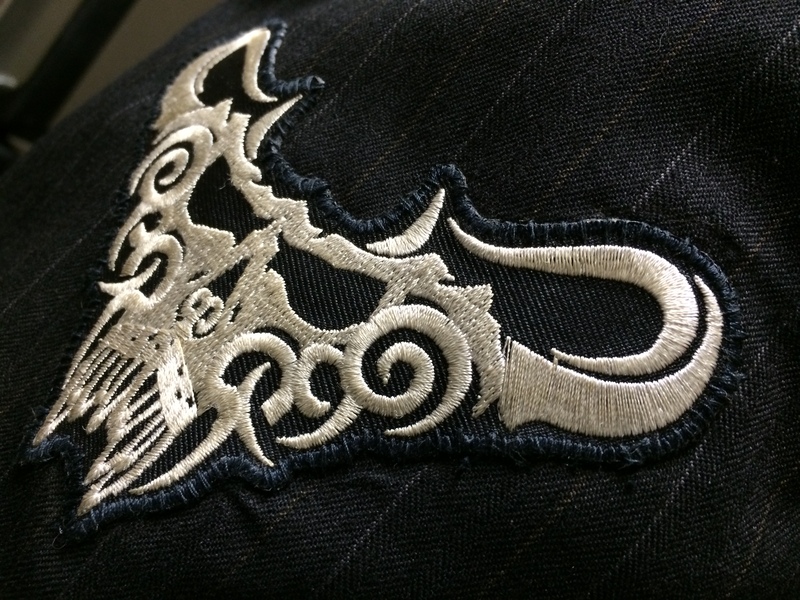 A new patch and rip-free lining! Considering I didn’t 100 percent know what I was in for, I think it turned out well. Maybe one day I can learn how to line a jacket! Until next time, happy stitching!